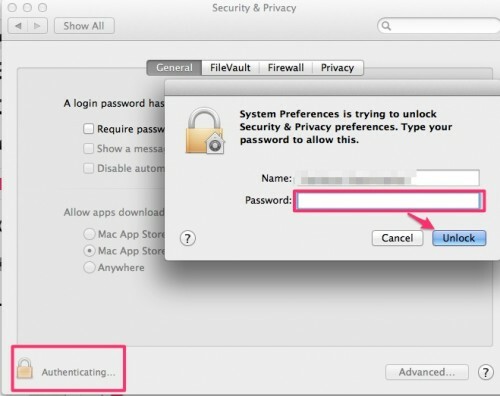 Mac OS X security (by default) does not allow all .app extensions to be installed. At worst, an error message appears that the app “is damaged and can’t be opened.” This error makes you believe that the downloaded app is corrupted and that there is no application that could let it open. However, sometimes this is just a security issue that can be corrected. Users are seeing warning messages about downloaded applications being damaged and unable to be opened. Rarely, this is due to a true corruption during download. Download corruption is very rare, and most often this error is due to Apple’s increasing security measures. You likely just need to adjust your security preferences. 2. 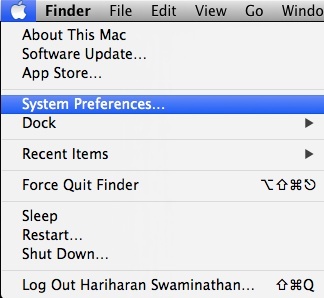 Under System Preferences, choose Security & Privacy. 3. Choose the General tab. 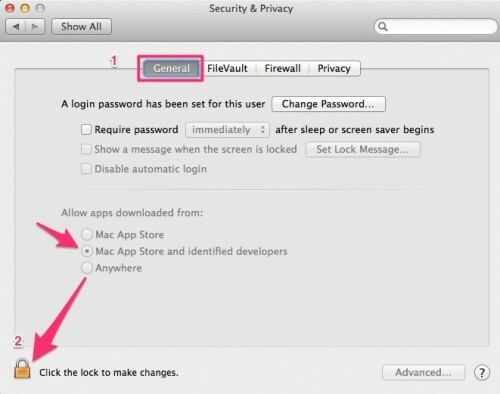 By default, Mac OS X security allows only the apps that are downloaded from the Mac App Store (such as iTunes) or from Mac certified developers. Although it is safe to install apps that Apple recommends, there are always scenarios in which you will need to download .app files from the Internet. 4. To fix the “Move to Trash” error, we need to change the Allow apps downloaded from:option to Anywhere. You cannot do that since it is grayed out and disabled. It needs authentication from an administrator. To do that, click on the lock icon next to Click the lock to make changes. That should open a dialog box asking you to enter your password. If you have not set your password, just leave it blank, and hit the Enter key on your keyboard. 5. Now, select the Anywhere radio button. Once you choose that, it should open up another dialog box as seen below. 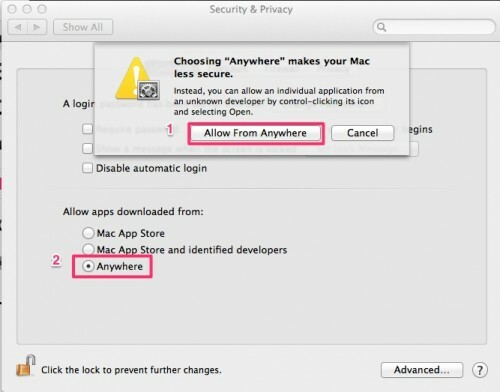 Just chose Allow From Anywhere. 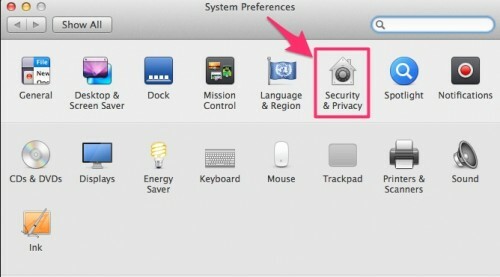 Now, you can simply close all the windows, and Mac will automatically lock Security & Privacy for you. 6. Open the .app file that you want to be installed. Instead of the error message, now you'll see a warning telling you that this app is downloaded from the internet and asking would you still like to open it. If you are sure about what you are installing, just click Open, and it should let you install it without any error.